I believe there is an enumeration district that was missed in the 1920 census that contains a few of my ancestors and their peers. 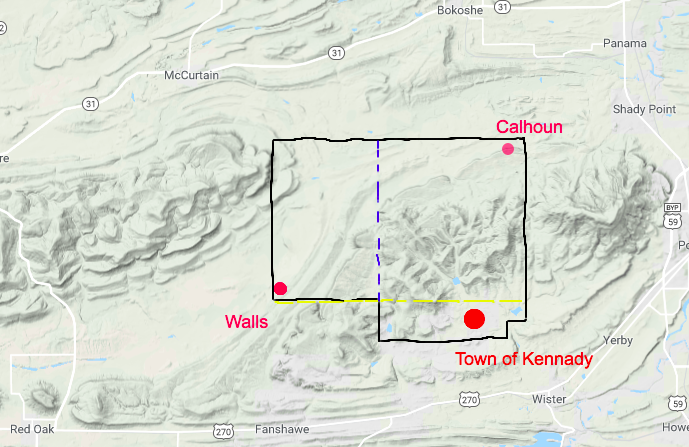 I am concerned about the Township of Kennady in Le Flore County, Oklahoma. 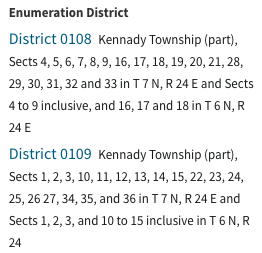 The enumeration district for Kennady Township was 0017 and 40-19 in 1930 and 1940, respectively. I have outlined some of the relevant landmarks/boundaries as best as possible. The regions above and below the yellow line represent township 7 and 6, respectively. The regions east and west of the blue line represents range 24 E and 23 E, respectively. 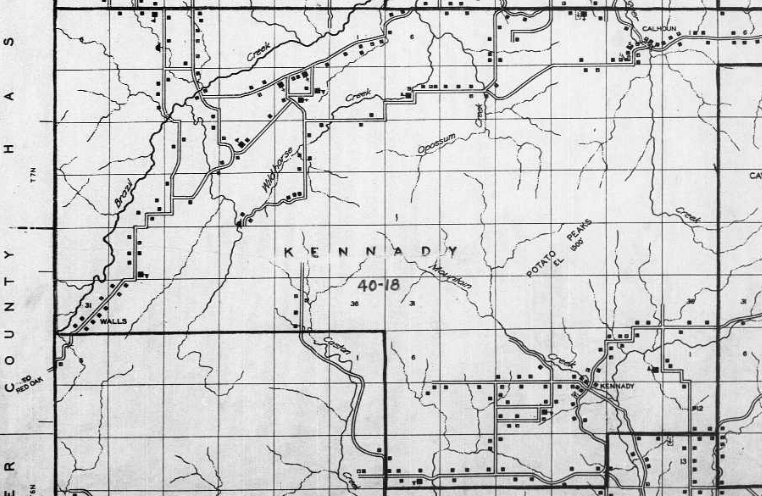 Cross-referencing the ED descriptions and the 1930s ED map, it appears that T 7 N, R 23 E is missing, along with a considerable proportion of the Kennady Township's population. I have searched the border townships/counties' enumeration district descriptions (again on Ancestry) and could not find T 7 N, R 23 E.
Can anyone confirm this ED was overlooked? Is there a chance that this region was covered and somehow Ancestry/FamilySearch missed the images, meaning the records still exist? Is there a comprehensive list of ED description that I can better search for T 7 N, R 23? Does an equivalent ED map exist for 1920? If not, then why? This is a brick wall that has plagued my research for nearly a decade. I truly appreciate any insight or ideas on how I should approach this. For the specific information you seek about the 1920 U.S Population Census and the enumeration districts in Oklahoma, we suggest that you contact the National Archives at Fort Worth, TX via email at ftworth.archives@nara.gov.